Let me introduce you to a perfume brand with a sense of humor equal to that of my satire: Demeter. 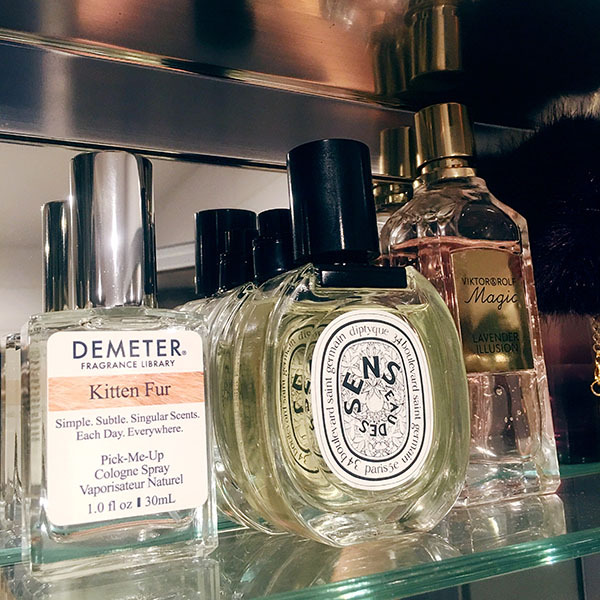 Unlike luxury $500 perfumes with notes and layers that the common human nose can’t even detect, Demeter scents capture the beauty of smells all around you. It all started with Dirt, Grass, and Tomato and while I am all for a good sunbathe in the grass, I’ve steered clear of the dirt. Me, dirty? Non! Today, I was introduced to one of their new arrivals: Kitten Fur. Whether you love or hate my kind (I’m not sure how the latter is even an option), everyone has a soft spot for kittens. Now after 15 years of effort, Demeter has captured the olfactory essence of the warmth and comfort of that purrfect spot, just behind a kitten’s neck. This fragrance truly purrs and so will any human who experiences it.